Although countless swimmers all around the world dream of winning a gold medal someday, only a few get to stand at the Olympics podium every four years and actually receive one. But it looks like one man experienced some of the excitement of earning the international sports honor on Wednesday -- and he doesn't even swim. 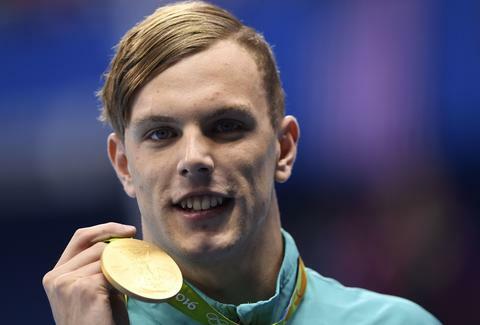 In the hours since the Olympic swimmer soared to victory at the event, the wrong Kyle Chalmers has received thousands of Twitter notifications from the swimmer's fans via his Twitter handle, @kyle_chalmers. Turns out this particular Kyle Chalmers is just an average 19-year-old guy from Glasgow, Scotland, who's training to become a radio communication technician, according to the report. The gold medalist Kyle Chalmers doesn't appear to have a Twitter account, but he is on Instagram. Unsurprisingly, many of Chalmers' fans have since deleted their tweets or followed-up with corrections. This includes Woolworths, which apologized to the wrong Chalmers and added "in our hearts you're still a winner." Judging by his tweets since the outbreak of confusion, the non-swimmer Chalmers doesn't seem to mind the attention much. And maybe, as one Twitter user suggested, he might score a few pints out of the mixup. Cheers to that. Tony Merevick is Cities News Editor at Thrillist and is often glad that nobody else has his name, but wouldn't mind receiving some congratulations on Twitter. Send news tips to news@thrillist.com and follow him on Twitter @tonymerevick.